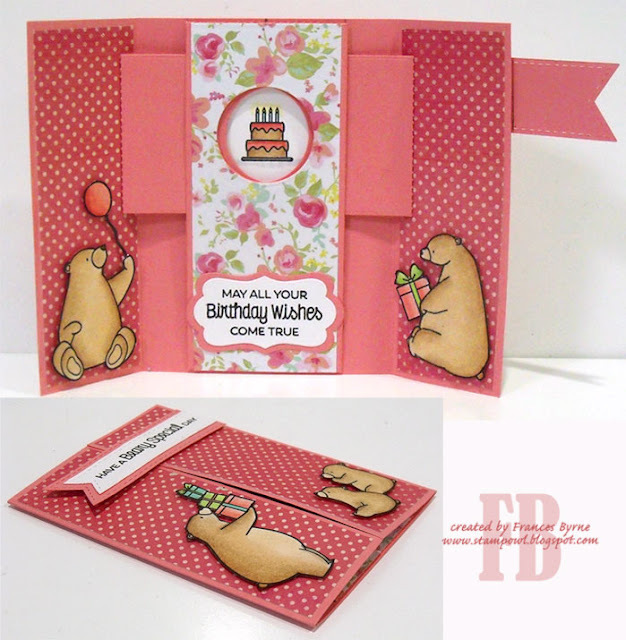 Today I am sharing another Gatefold Shutter card I have created using Nellie Snellen Magic Card die sets. This one using the round set. 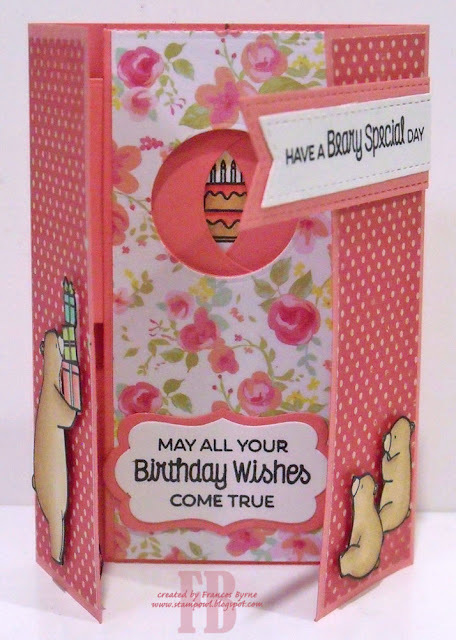 I have been having lots of fun creating this style of card and having the die makes it so much easier. 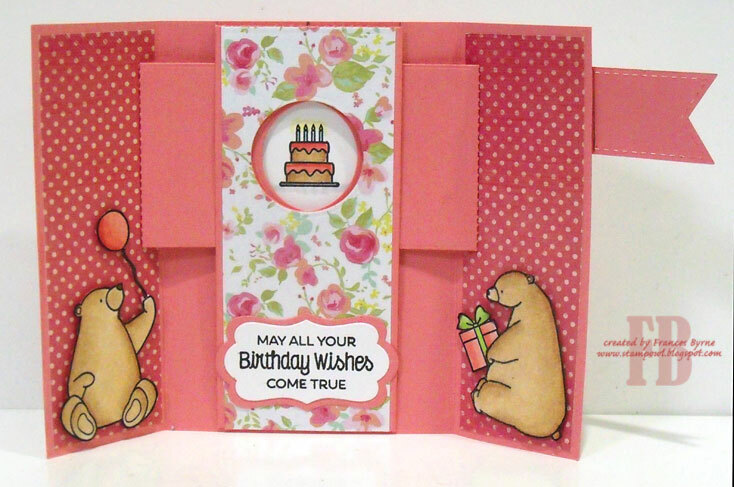 For my card today I have decorated it using the MFT Stamps Birthday Bears stamp set. All the large bears in this stamp set face the same direction, as I wanted to have one facing the other, I decided to use my Reverse Image block and my MISTI so I could have the bear on the right hand side facing to the left. You get so much better results using the MISTI. Here is a view of my card when it is beginning to open, you can see how the shutter in the centre of the card is starting to open to reveal the image which is hidden. 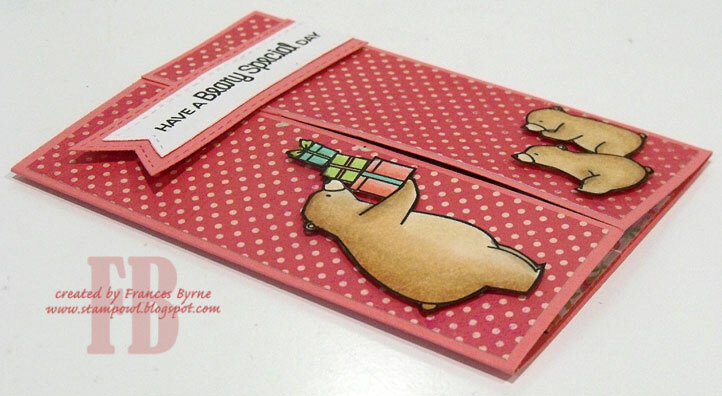 And one last photo of the front of the card, this time laying on the table. 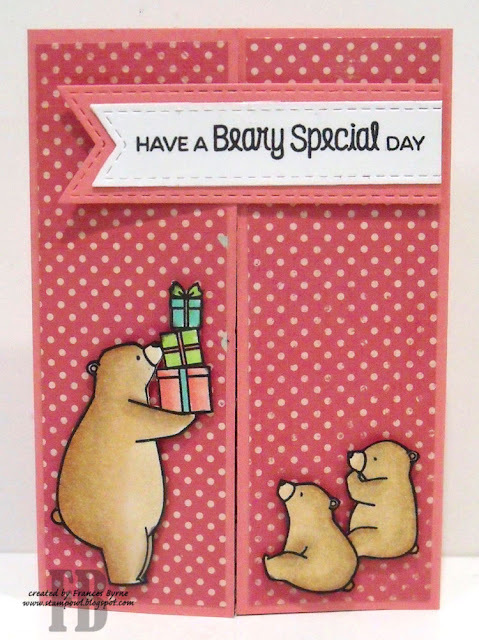 Awfully cute card - love the mirrored bears, too.